My Family Fun - Wine Making Equipment Kit Create your own great-tasting wine with this easy to use kit! Create your own great-tasting wine with this easy to use kit! Versatile equipment kit, perfect for making wine from fresh fruit and grapes or wine kits. Starter booklet included to walk you through every step. 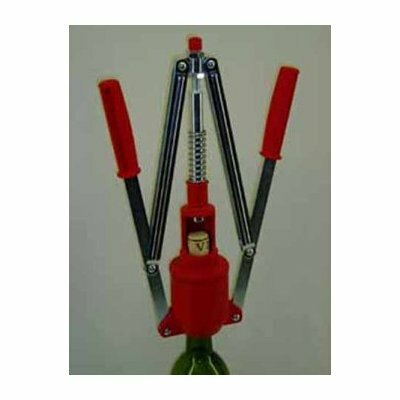 Comes with an easy to use double lever corker, requires less physical strength than a hand corker. This kit is equipment only - no ingredients are included with this kit. This versatile equipment kit accommodates the winemaker using fresh fruit, grape juices and concentrates as well as those using winemaking kits. This kit contains equipment only, it does not include any Ingredients. If you are needing ingredients too, please click on the link above to see all The Home Brewery Products. 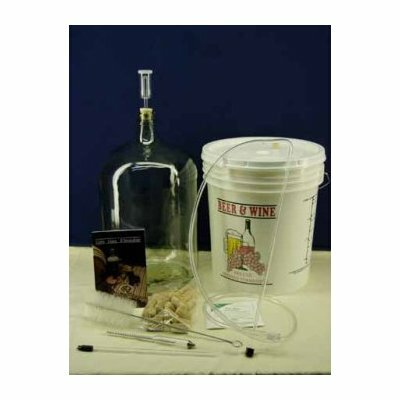 The Equipment Kit includes: 7.9 gallon Plastic Wide Mouth Fermenter, Lid, Airlock, and Stopper; 6 gallon Glass Carboy with Stopper; Hydrometer; Racking Tube with anti-sediment tip; 6 ft Flexible Tubing; Plastic Shut Off Clamp; Bottle Filler; Bottle Brush; Easy Double Lever Corker; 30 Wine Corks; Starter Booklet; and Sanitizer.